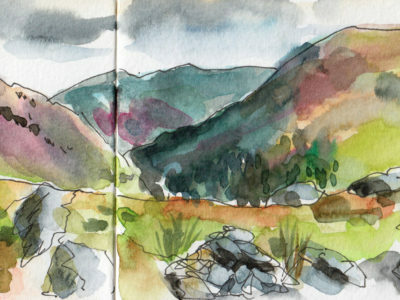 I love being outdoors and hiking. 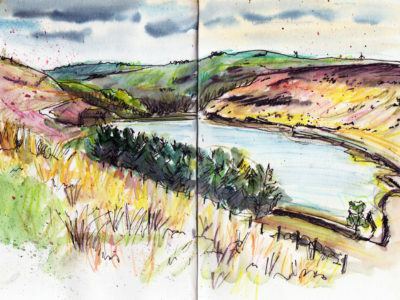 I am lucky to live in Yorkshire where we have beautiful countryside on our doorstep. 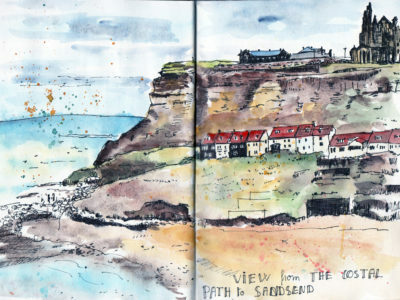 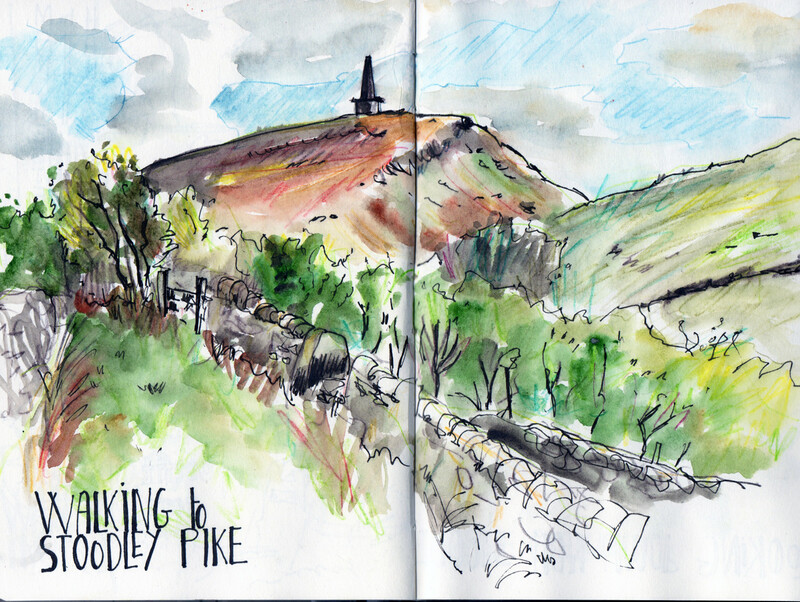 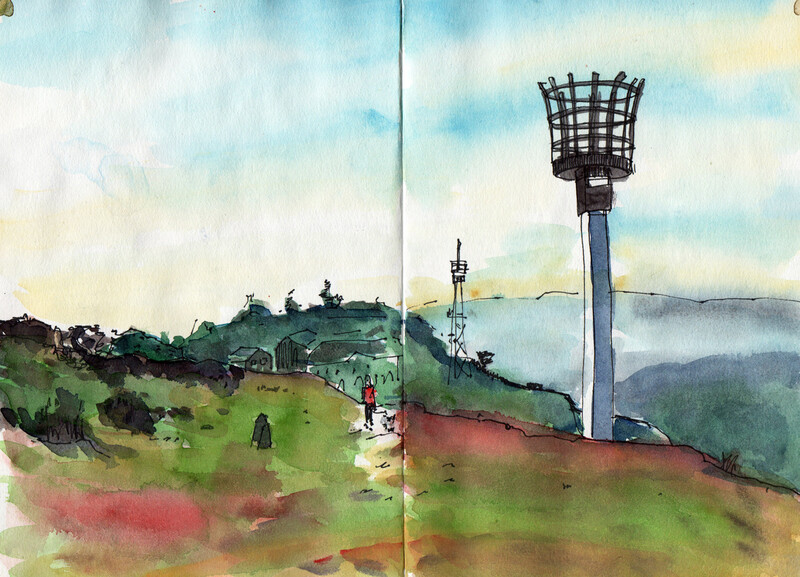 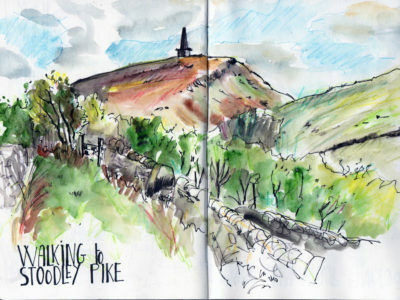 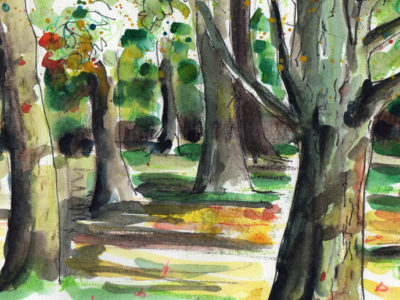 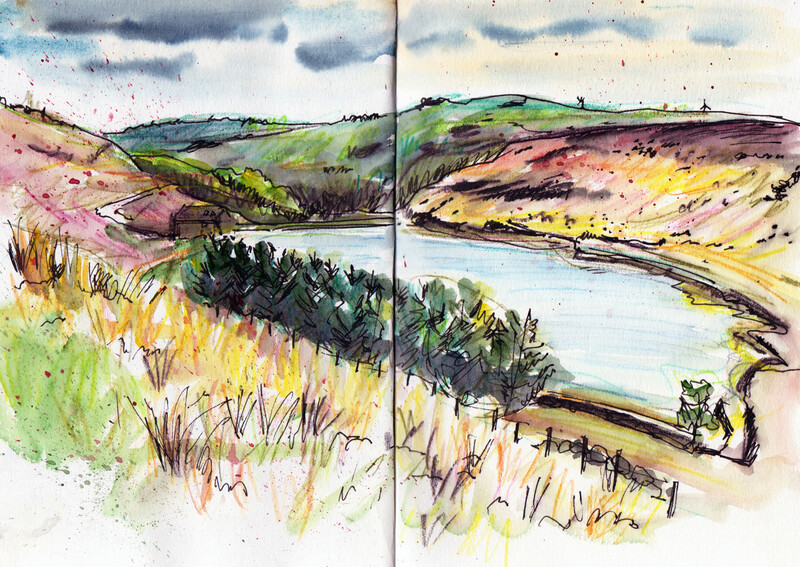 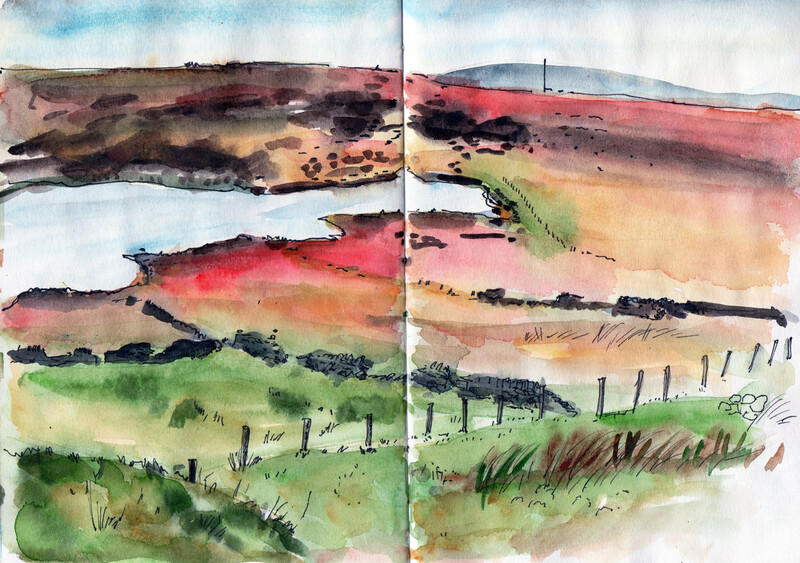 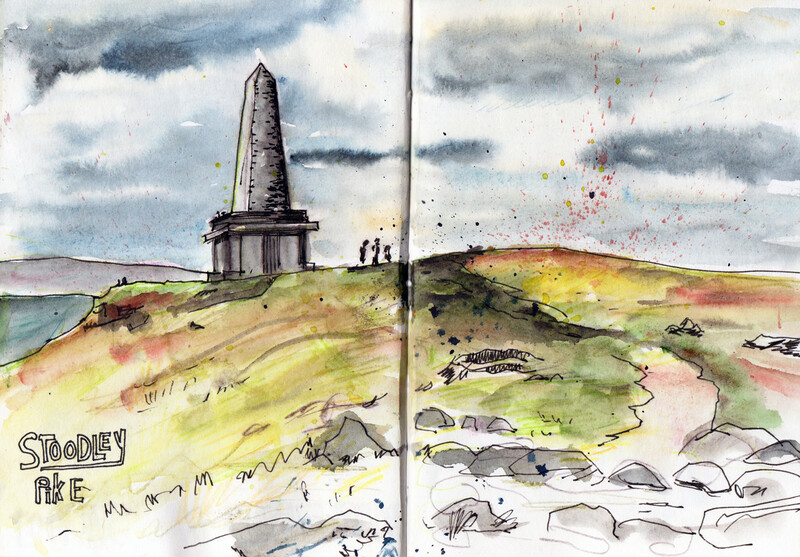 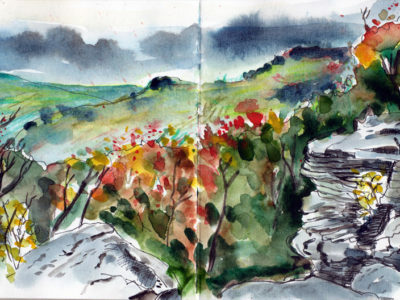 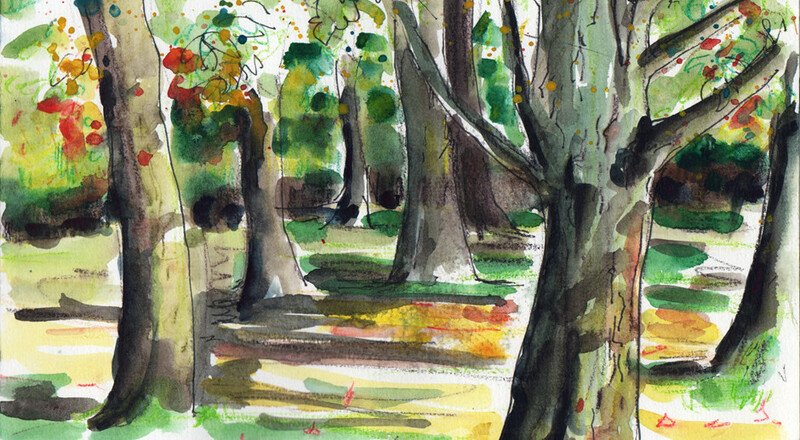 It would be a shame not to take my sketchbook when out walking. 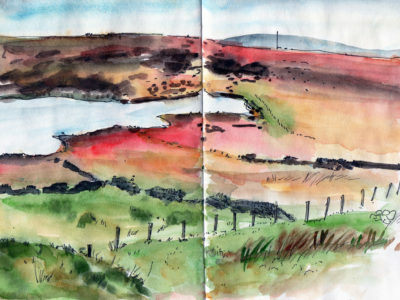 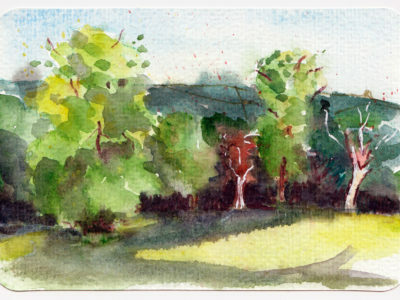 Here are some of my landscape sketches – at home and further away too! 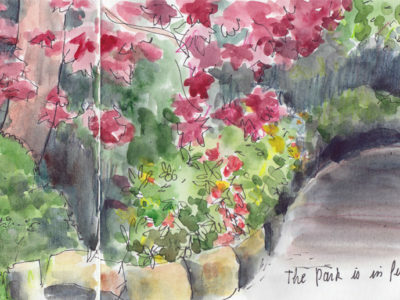 To see more of artwork, browse my portrait illustrations, illustrated recipes and urban sketches pages. 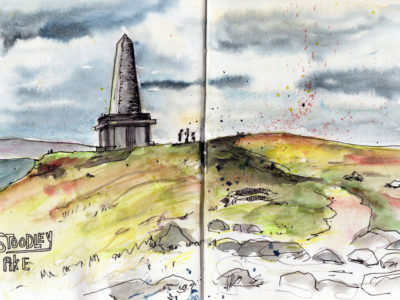 Holiday Sketching. 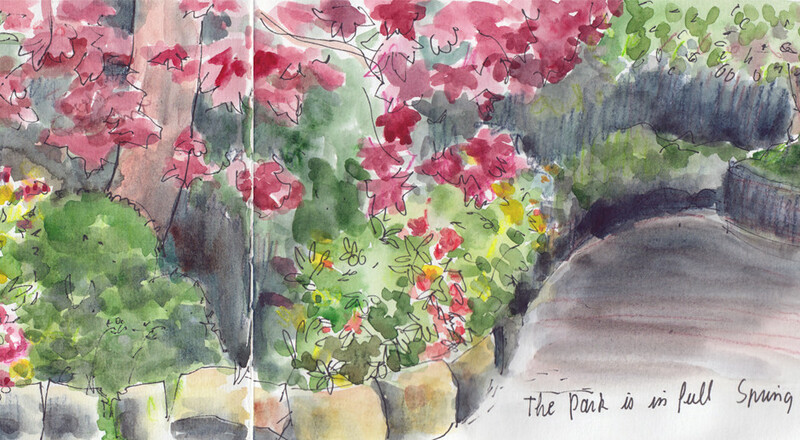 My first drawing in my new sketchbook – I find the paper hard to work with! View looking towards the Abbey in Whitby. 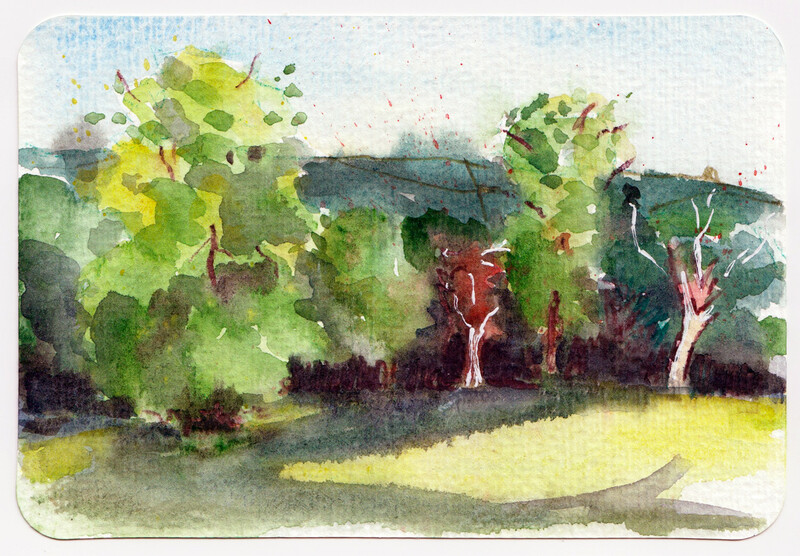 Evening sun and long shadows in the park. 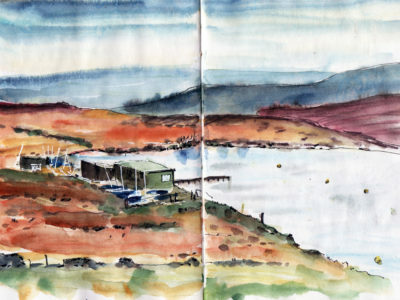 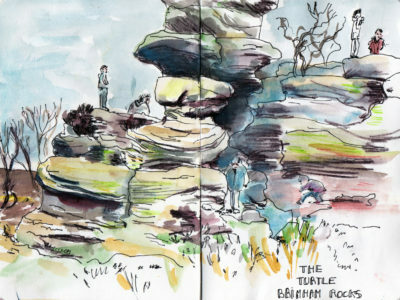 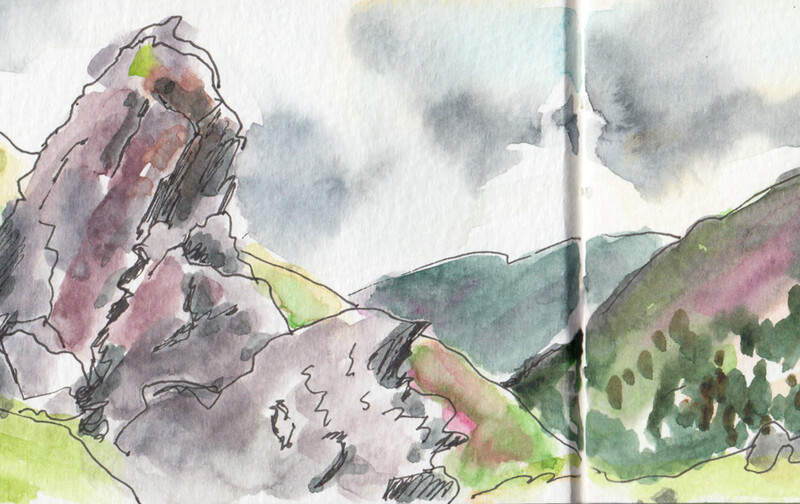 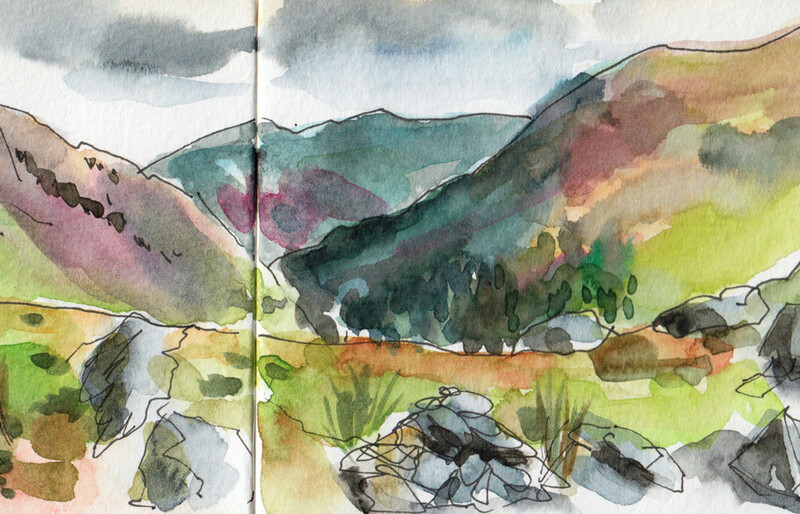 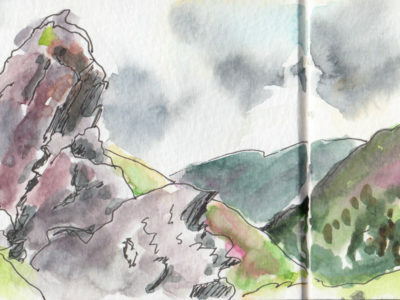 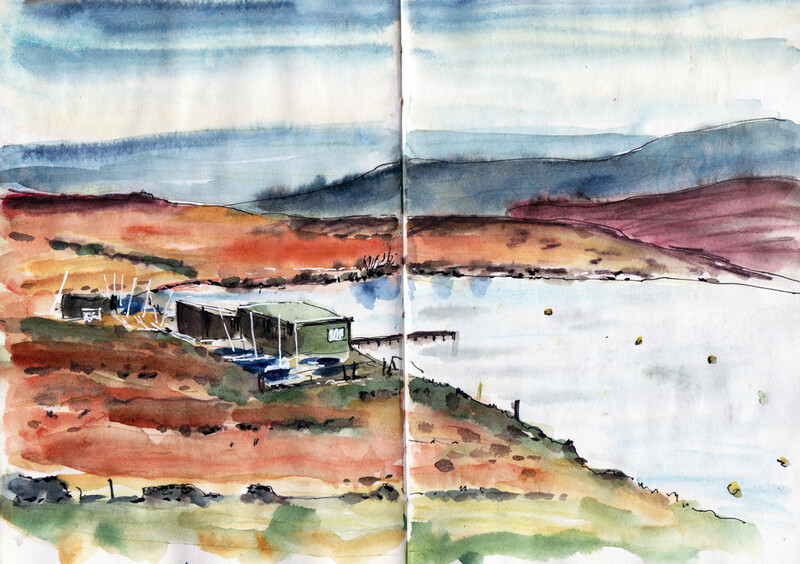 Close up of watercolour sketch at the top of Helm Crag in the Lake District.